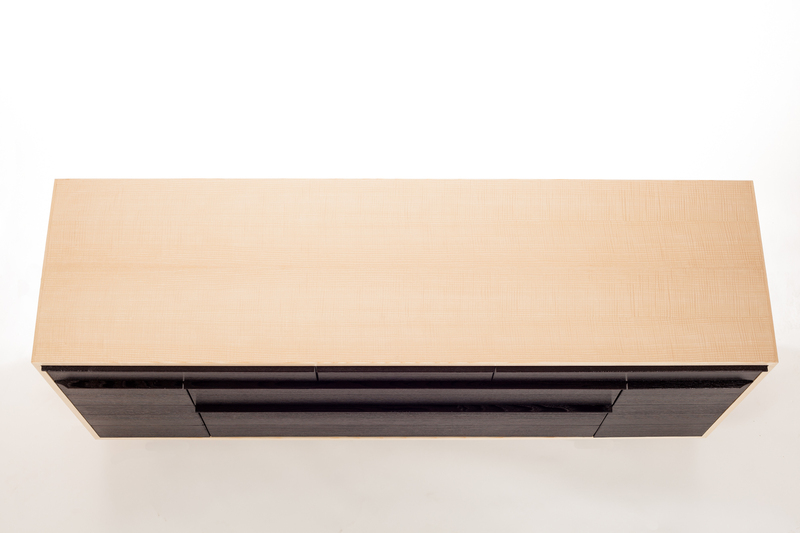 Featured at The 2016 Philadelphia Invitational Furniture Show. 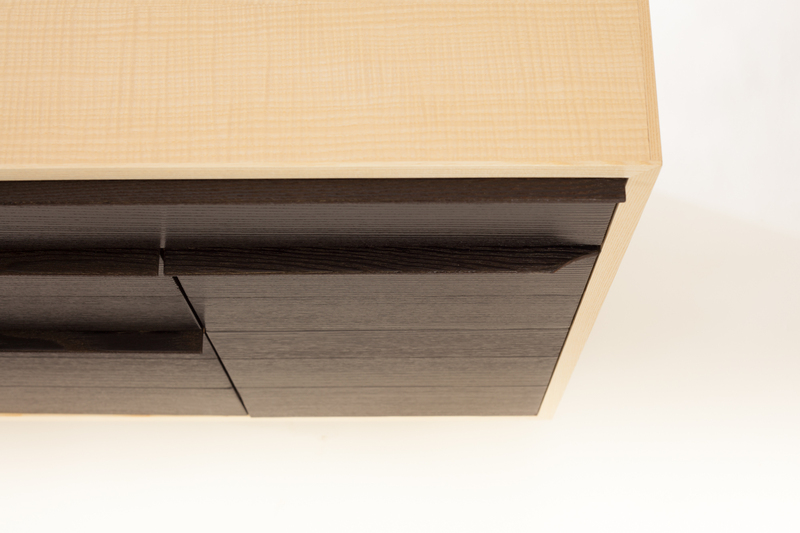 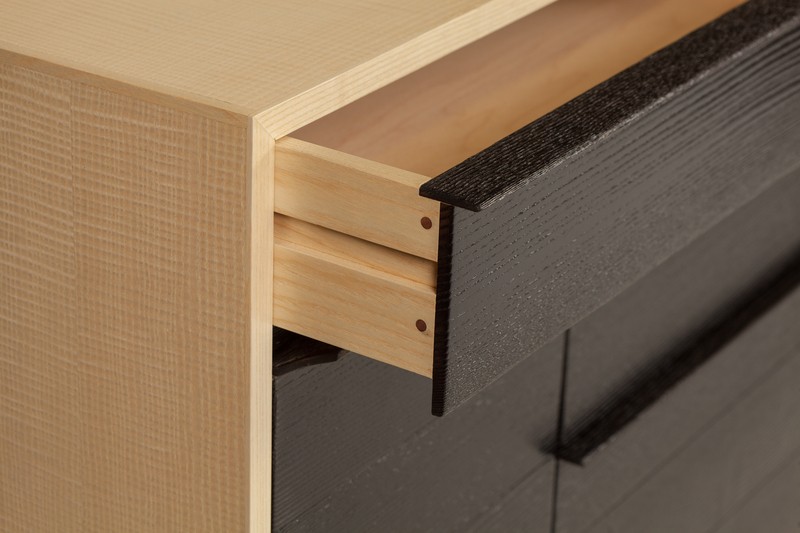 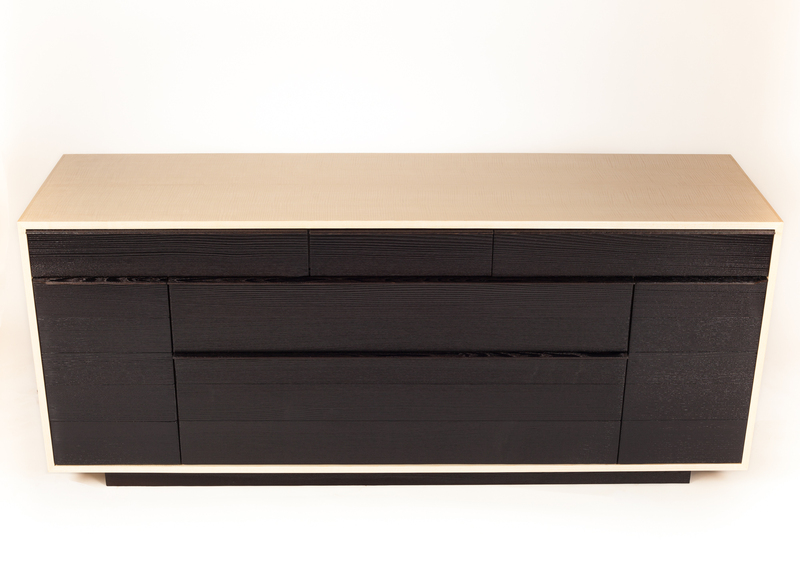 Quarter sawn ash was heavily torched to blacken and reveal intense horizontal grain on the buffet front. 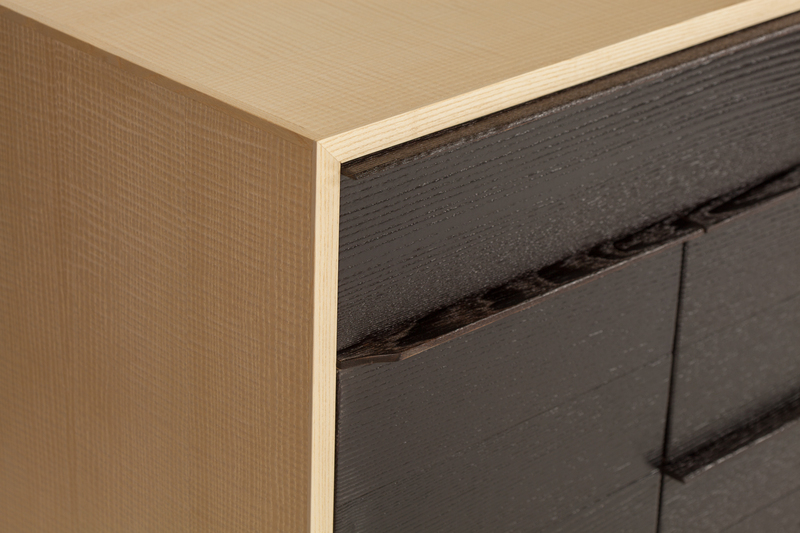 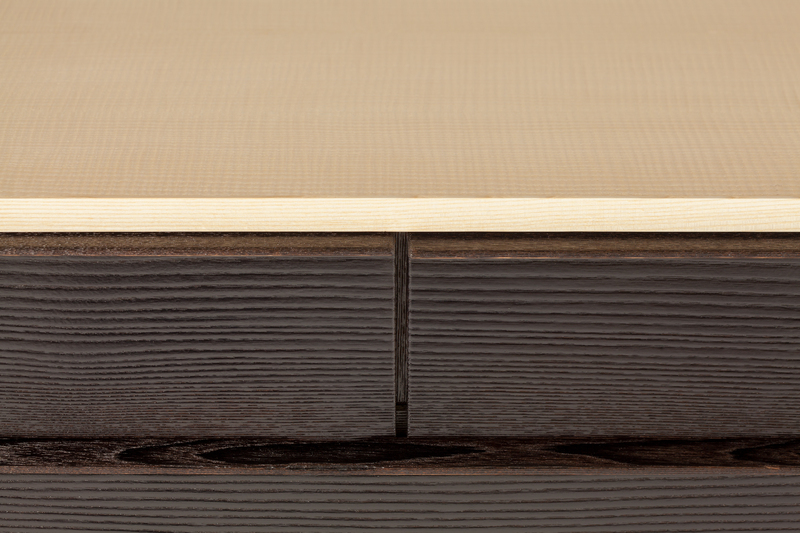 The entire carcass is wrapped inside and out with book matched quilted ash veneer. 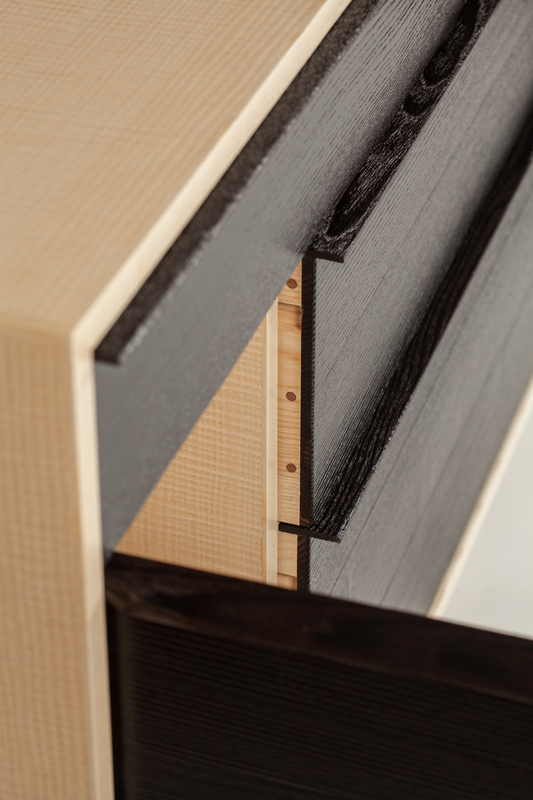 Door compartments have aromatic cedar backing. 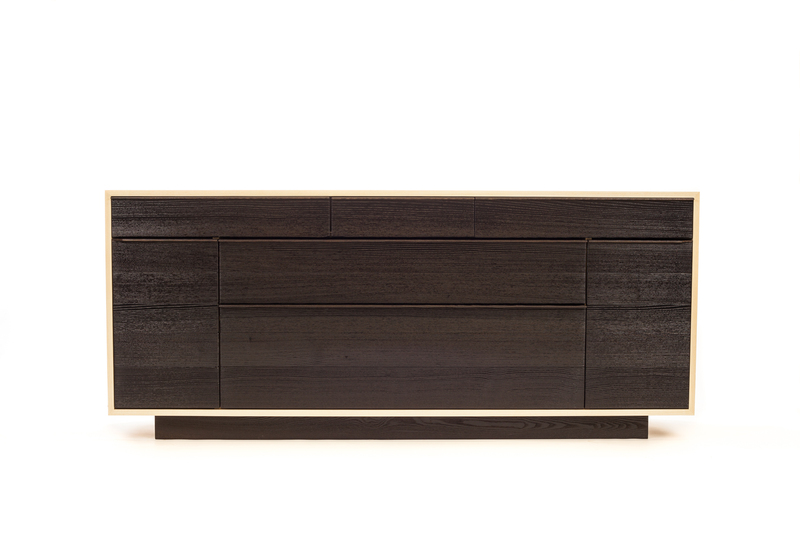 The overall piece conforms to the Golden Ratio with the drawer heights determined by the Fibonacci series.